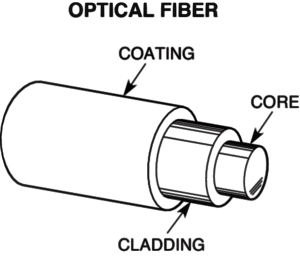 Fiber optic cable is constructed from the inside core, cladding, coating, strengthen member to the outside cable jacket. As the bare fiber is easily broken, fiber optic cable jacket is needed to provide protection for the shielding and conductors within the cable. 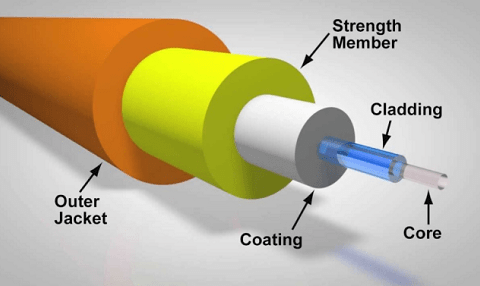 The cable jacket is the first line of moisture, mechanical, flame, and chemical defense for a fiber cable. The fiber cable jacket is made of various types of materials. It’s important to consider the jacket type when selecting the compatibility with the application’s connectors and environment. The table below contains some of the most common fiber cable jacket material types used both indoor and outdoor cables. Typically, there are eight levels of fire resistance for both non-conductive and conductive cables specified by NEC (National Electrical Code). All indoor fiber optic cables must be marked and installed properly for its intended use: plenums, risers, and general purpose areas. (3) A general purpose area is all other areas that are not plenum or riser and on the same floor. 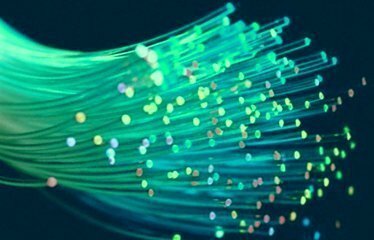 As mentioned above, OFNP and OFNR are two types of fiber optic cables that are used in buildings. OFNP cables have fire-resistance and low smoke production characteristics. This is the highest fire rating fiber cable and no other cable types can be used as substitutes. So these cables are mostly installed in plenum areas. Whereas, the fiber-resistance and low smoke of OFNR cables are not as good as OFNP. OFNP plenum cables can be used as substitutes for OFNR cables. Through OFNR vs. OFNP, it is worth noticing that OFNR fiber optic cable cannot be used in plenum areas to replace OFNP cables, however, the latter can be used in the riser areas. Both OFNP and OFNR can be used in general purpose areas. In the nutshell, plenum rated and riser rated cables are generally deployed within the buildings. Choosing the right type of rated cables can effectively reduce loss when the cables are burning. If your cabling application requires materials that are flame-retardant or compliant with strict safety standards, please always opt for plenum-rated cables. Fiber-mart provides a full line of plenum and riser fiber optic cables, including MTP plenum trunk cables, MTP-LC plenum harness cables, tight-buffered distribution plenum cables, armored tight-buffered plenum cables, and tight-buffered distribution/breakout riser cables. 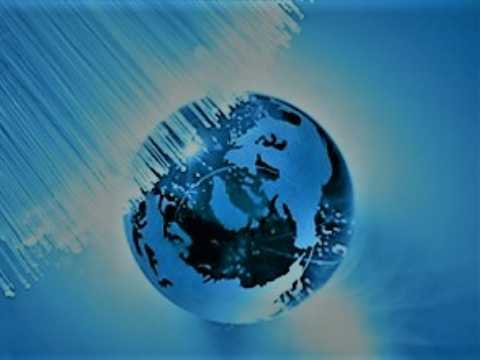 If you have any questions or requirement of Optical Fiber，welcome to contact us: product@fiber-mart.com. ← PPPoE vs DHCP: What is the difference?